Little travelers need a surprising amount of stuff and it’s easy to forget a thing or two! Here’s a checklist of items to make sure you don’t forget a thing. I once traveled internationally, and remembered to pack more than enough diapers in my checked luggage, but not enough in my carry on (especially for an unexpected #2)! Luckily the airport had extra diapers, and it was even more luckily that they had her size! I’ll never make that mistake again. It’s recommended to pack at least one diaper per travel hour, and at least 6 per vacation day. Of course, you know your baby’s bowel movement schedule better than anyone, but make sure to pack extra for unexpected diarrhea. The official diaper of experienced moms is Luvs. Luvs is offering big savings in this Sunday’s paper. Get your scissors out because there will be a high-value coupon that could save you up to $2 on Luvs Diapers. 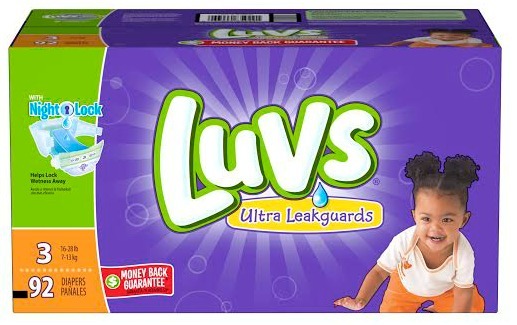 Luvs is also offering a limited-time $5 rebate on any boxed variety of Luvs diapers, 54ct. box or larger, in partnership with Ibotta . If you are not signed up with Ibotta head over there now and do so. You can also download the free Ibotta app, available on iOS and Android. Use the referral code dkdmhbm. Search “Luvs” to unlock an exclusive $5 rebate. This is a super awesome deal you don’t want to miss! Why? Because…..
You can stack these two together and save $7 off – what an unbelievable saving! 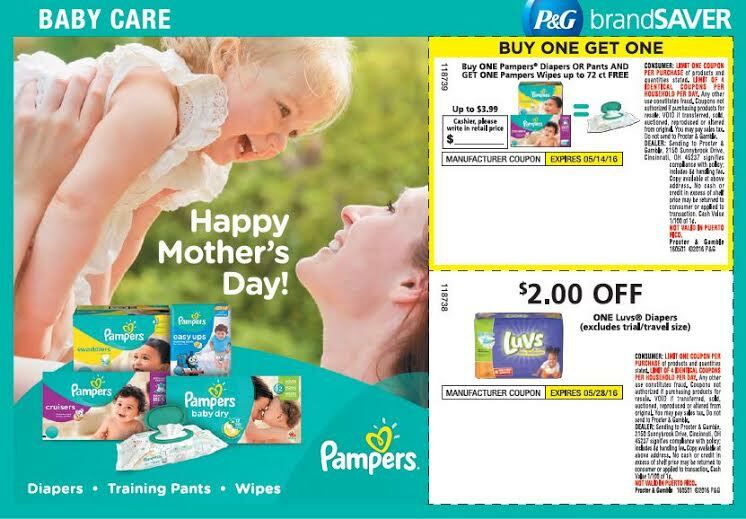 Purchase your Luvs diapers at any participating store (use the coupon in this Sunday’s newspaper to save up to $2). Once you have purchased your Luvs diapers, simply click on your app (Use the referral code dkdmhbm) from your phone. Do a search for “Luvs” to find this $5 offer . Scan the product barcode and submit a photo of your receipt. After your account reaches $20, you can transfer the amount over to your Paypal or redeem for gift cards. So make sure to share this awesome deal with others. “Share the Luv” ! This is a great checklist! I’m going to come back and consult it when we take our first trip with our newborn. I didn’t even know there were inflatable bathtubs! I love your tips on traveling with babies. I’m so glad I don’t have to worry about that anymore. But my daughter on the other hand is due with her 4th and will have 3 small ones in diapers. This coupon & Ibotta rebate is a great value.